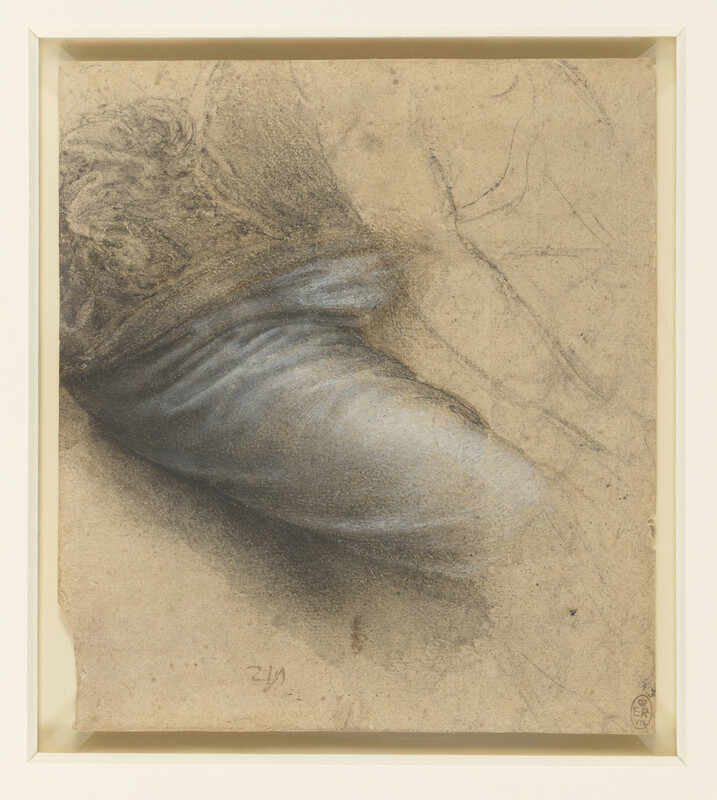 This is a study for the drapery over the seated Madonna’s right thigh in Leonardo’s painting of the Madonna and Child with St Anne and a lamb, now in the Louvre. The technique is very elaborate: an outline in charcoal was worked up in closely hatched black chalk, which was gone over with a damp brush to make the modelling even smoother. Touches of brown wash provide a little colour and give greater depth to the shadows. Finally the light on the satiny surface was rendered with a veil of white heightening, delicately applied with a fine brush.